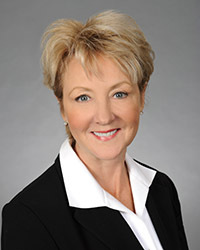 FORT LAUDERDALE | Holy Cross Hospital has named Marcie Hall as director of development. In her new position, Hall will focus on securing major gifts, building strong relationships with donors and managing the hospital’s development team. She will report to Scott Ford, vice president of Development and Marketing. Previously, Hall was the director of major gifts at the American Cancer Society. A certified fundraising executive, Hall has more than 25 years of professional development experience with national renowned nonprofit healthcare organizations. She has been successful in securing more than $65 million in philanthropic giving, including a $17 million donation, one of the largest individual gifts in Cleveland Clinic Florida history. A member of Trinity Health, Fort Lauderdale-based Holy Cross Hospital is a full-service, non-profit, Catholic, teaching hospital operating in the spirit of the Sisters of Mercy. Holy Cross Hospital has been named one of the top three hospitals of 65 in the Miami metro area and among the top 20 in the state in U.S. News and World Report's 2018-2019 Best Hospital rankings.